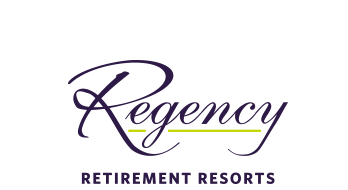 At Regency we realize that dining and nutrition are very important components of the retirement lifestyle. That is why we are committed to being an industry leader in delivering a first class dining experience to our residents every day! First, we create spacious and elegant dining rooms with tasteful furnishings and décor to match the finest restaurants. Then we scour the market for Chefs who are not only fully experienced but sensitive to the senior palette and passionate about raising the bar in the culinary arts. We encourage each chef to flex his/her creativity to produce an interesting selection of tasty, nutritious and eye appealing offerings every day. Then we train our serving staff to be polite, courteous, and conscientious at your table. Come join us for a complimentary lunch or dinner. We are sure you will be pleased. View our sample dinner menu to learn what you can expect at your table at Regency Retirement Resorts!